Pretty early on, I realized that the running community is fairly small - I'd go to races and see the same faces over and over, and although that might be the only time I'd see most of these people, there was a certain sense of familiarity that I grew to enjoy, especially considering I came into racing feeling like an outsider. 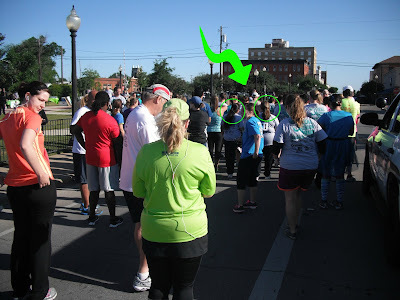 Start of the 2012 Teal Ribbon 5K. I'm in the green top/black bottoms, and my future friends CC and Loretta are just ahead of me. I'm still in the back of the starting pack...it's my comfort zone. Turns out this was Loretta's first ever 5K, and I have to razz her just a little for putting her bib on her back - classic newbie mistake...although, I really should be giving CC the hard time, as she knew better! We all did this race because our mutual friend Cary was the race director and held it as a benefit for the organization she worked for at the time. Julia and I at the start of the Wolf Pen Creek 5K/10K race in 2012. Future friend Karen, who joined our running club in 2013, is standing nearby - I love the looks she's giving us, as I'm sure Julia and I were being our usual annoying selves with posing for pictures! Previously future/now current friends Andi, Loretta, CC, and Karen, 2015. What a small world, right? I'm interested to see if this trend continues and I will discover more future friends in past race pictures. How cool is this! So fun to see. Since the Netherlands is small and you don't have to travel far for races, I have never seen someone that I've seen before back in the days when I did races. I never had a personal race photographer so I couldn't repeat this exercise but I think it's really cool! that's the great thing about racing/running. I've met some great people. Most virtually but many in person. A few years ago,there was someone who ran a local race that apparently has a blog whom I didn't know. 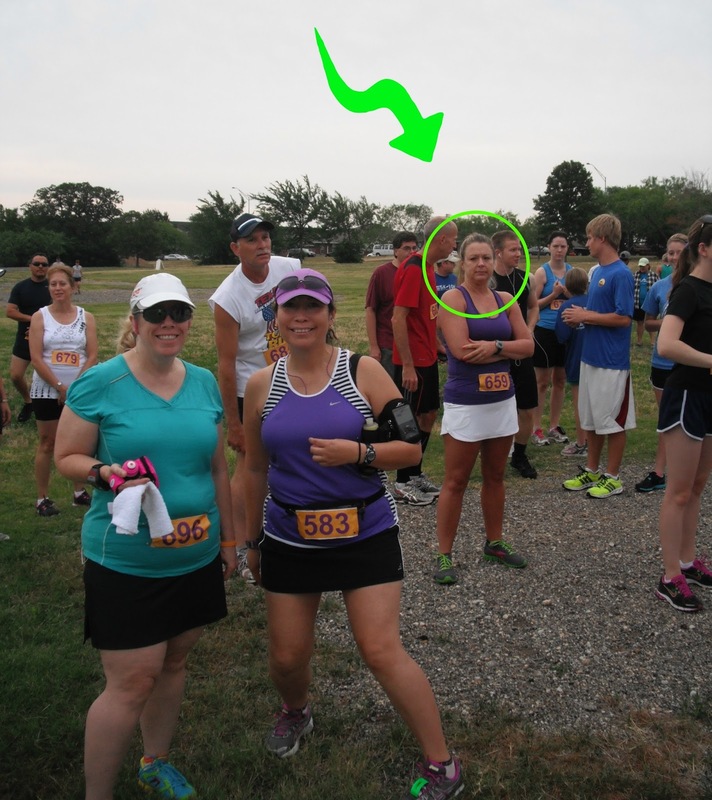 John and I ran the same race as her and a picture of John showed up on her blog! Someone else who follows both let me know (I can't remember who that was now, maybe Fran told me?) That was bizzare. How fun to see! The picture of Karen is really funny. She probably wasn't looking at/thinking about you, but it sure looks like she's giving you the side-eye. I know...Karen is really sweet so that shot is particularly funny to me. That is so cool! I've noticed a few of the same people at some local races but didn't know who they are. If I did a bunch of local ones I bet I would start to see more! How neat! I love how you have found a family in your racing community. omg....that look! I'm sure I spoke to Julia being classmates from Navasota. Now I need to go through my pictures to see if I can spot my future friends! You might just have some future friends in your race pictures - I'm interested to see! And that picture of you made me laugh so much once I realized it was you - I swear, I've never see that look on your face!! That's so cool! I know that a lot of my local running friends did the same races as me before we met, so maybe there's photographic evidence out there. You're right though, the running community is a really small world! This is so cool! I love the one of Karen looking at you guys! How wonderful to have these!